The concept of Sharia, or Islamic law, has been generally misunderstood. With millions of Muslims in North America, it is important for policy makers and the judiciary to have a better understanding of what Sharia represents, how it is viewed by Muslims, and its historical evolution and application. 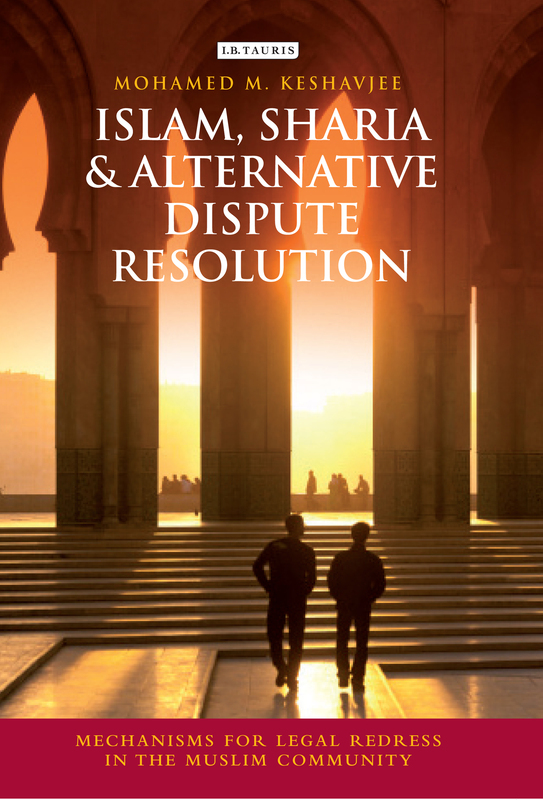 Dr. Mohamed M. Keshavjee will discuss his new book, Islam, Sharia and Alternative Dispute Resolution, which provides an informed and thorough discussion of the relevance of Sharia and its principles that affirm equity, justice and basic human rights, and its interface with the UK’s official judicial system. 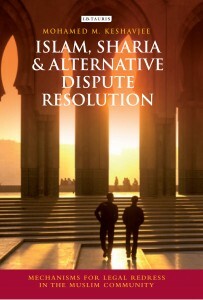 The book also touches on Muslim and Jewish Alternative Dispute Resolution processes, with specific reference to well-established systems. Mohamed M. Keshavjee was called to the Bar at Gray’s Inn, London, and Osgoode Hall Canada. He did his LLM at the University of London in Alternative Dispute Resolution (ADR), Islamic Law, International Protection of Human Rights and Arab Comparative Commercial Law. He attained his doctorate in Law in ADR at the School of Oriental and African Studies, University of London, and has lectured to LLM students on ADR in diasporic Muslim communities at the London School of Economics. In 2010, he attended the a Program on Negotiation course taught by Frank Sander and in 2012 he trained family mediators in the European Union to conduct mediation in cases where The Hague Convention on International Child Abduction is inapplicable. Keshavjee is internationally recognized for his expertise on ADR among Muslims and has been invited as a keynote speaker to address several conferences on mediation. He has contributed chapters to influential books dealing with diasporic Muslim communities and legal pluralism in Europe. From 2000 to 2010 he coordinated, and lectured in, all the Ismaili Muslim community’s training programs on family and commercial mediation worldwide. He has also lectured on family mediation to students at the Muslim College in London. He is a member of the Board of Governors of The Institute of Ismaili Studies London and a member of the Advisory Committee of the International Social Services of Switzerland. He is also a member of the EU panel of International Family Mediators trained to deal with Hague Convention cases on international cross-border child abduction.